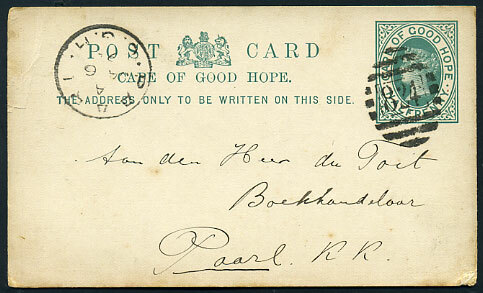 1897 QV 4d PSRE with added 1d Hope x 4 pmk'd MR 31 97 to Johannesburg, reverse MIDLAND UP F/31 MR 97 transit. 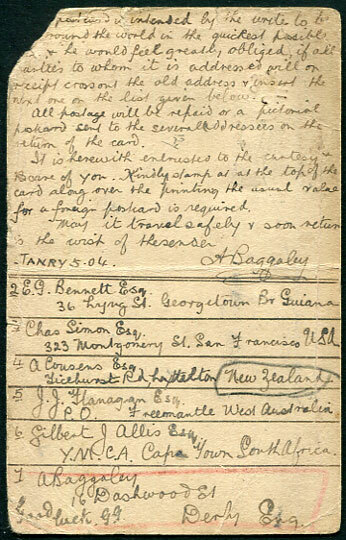 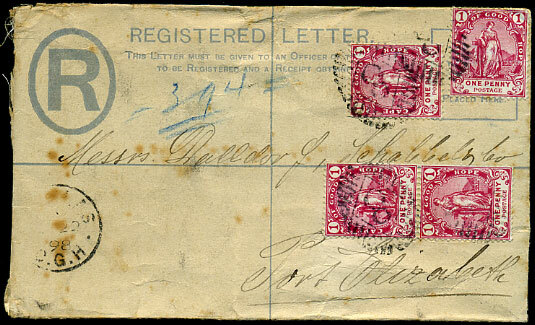 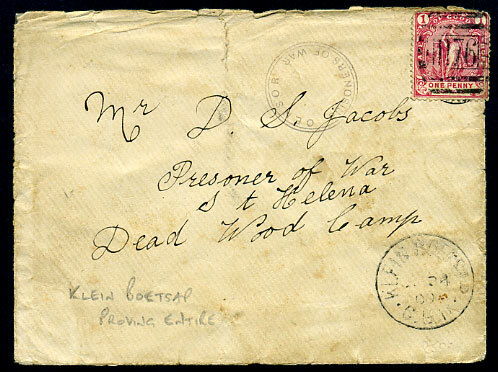 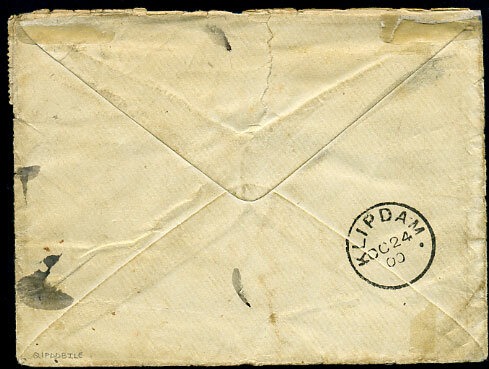 (SQC) dated JY 2 83 on 1d within city cover, middle top opening tear, JACOT & PRILLEVITZ printed sender's flap. 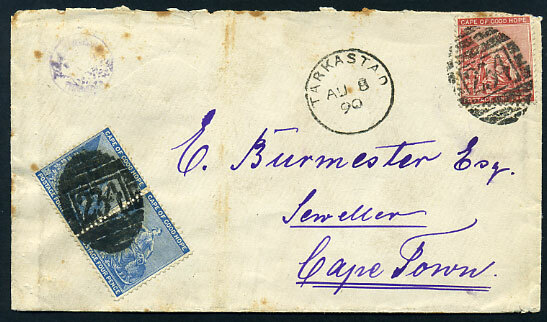 cover dated C/AU 31 96 with horiz. 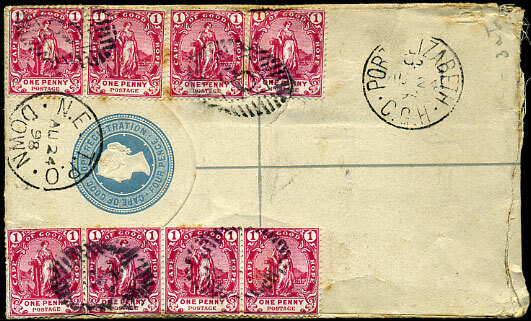 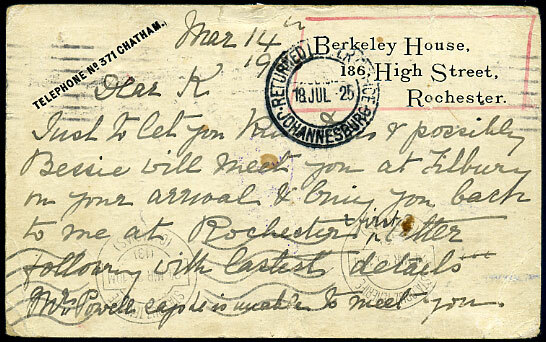 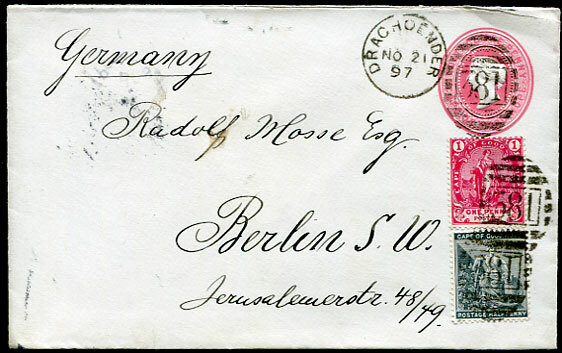 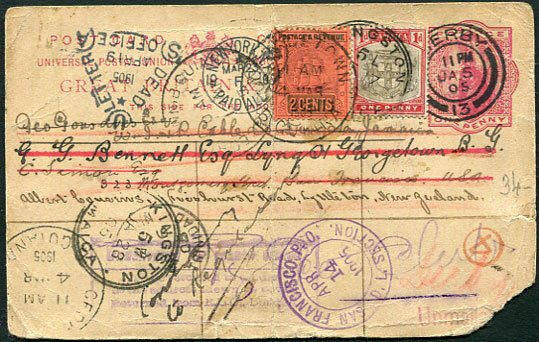 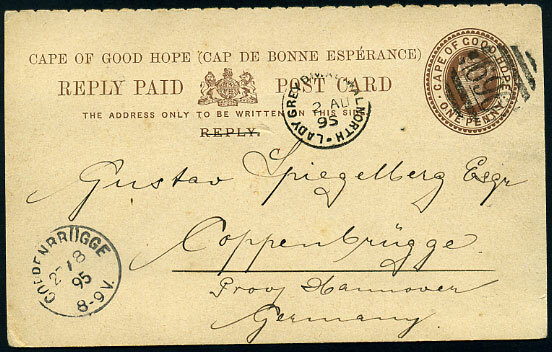 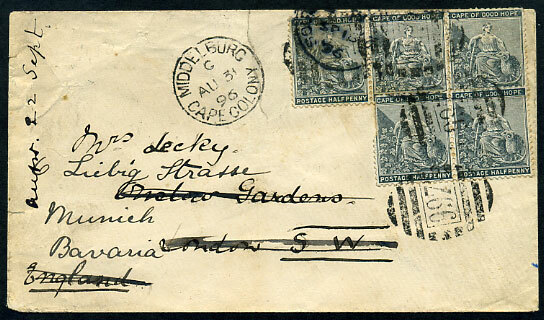 pair, strip of three ½d (SG.48a) to London re-addressed Munich, Bavaria, one stamp defective. 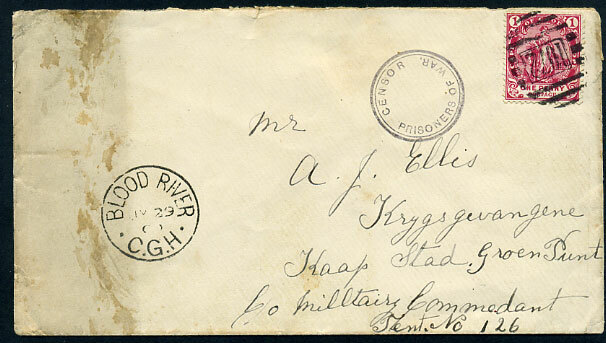 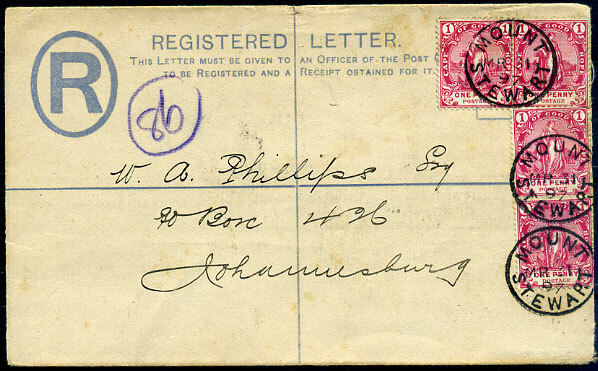 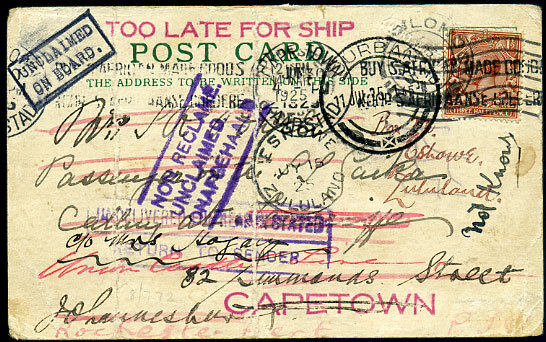 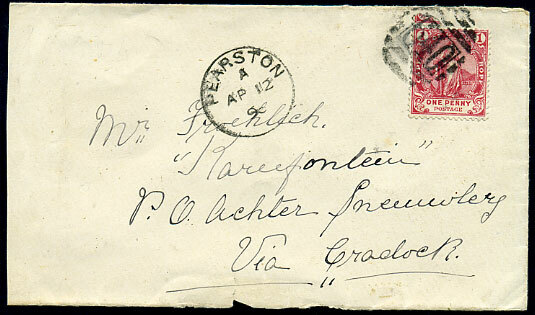 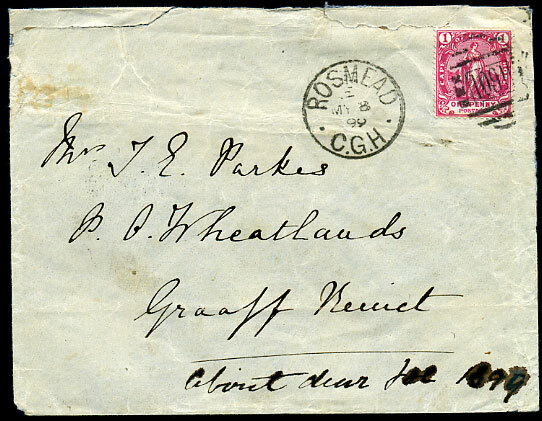 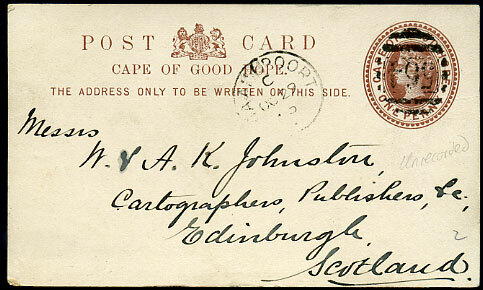 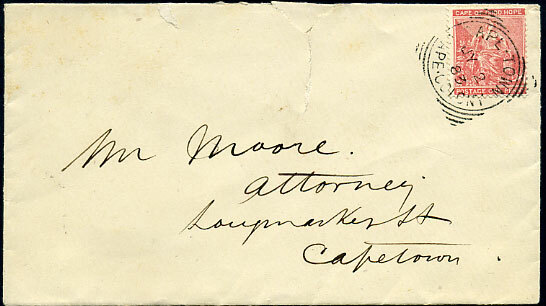 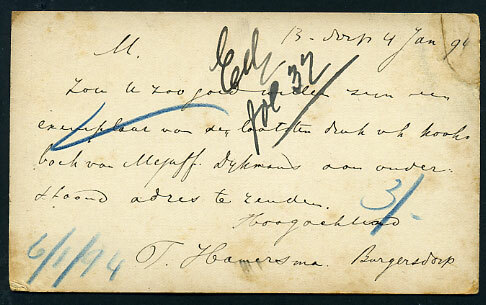 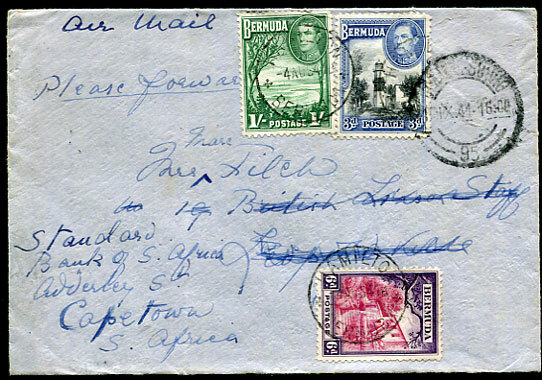 contrary to regulations as without despatch datestamp on QV ½d Post Card written 4 Jan 94 to Paarl showing A/AP 6 91 arrival. 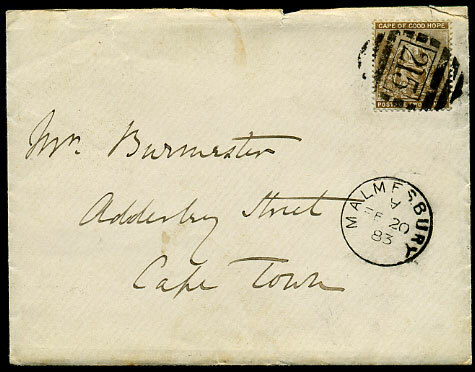 dated A/FE 20 83 on 2d rate cover, with original enclosure, to Cape Town. 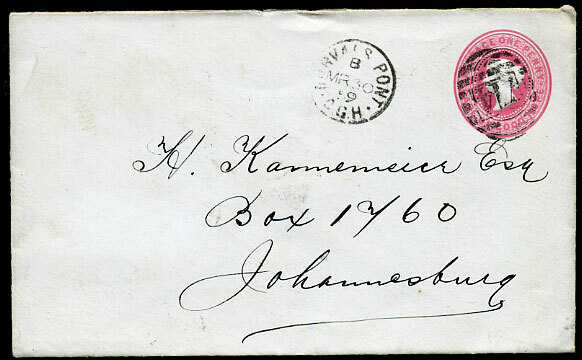 dated B/MR 30 99 on QV 1d PSE to Johannesburg. 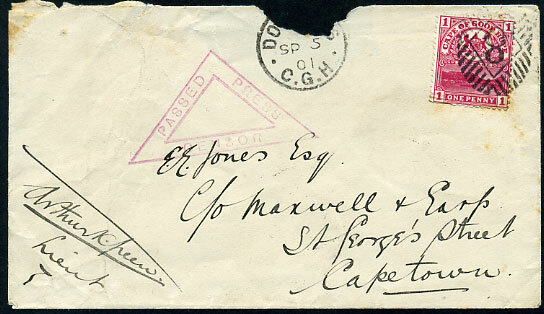 on 1d rate cover dated NO 4 01 to Cape Town. 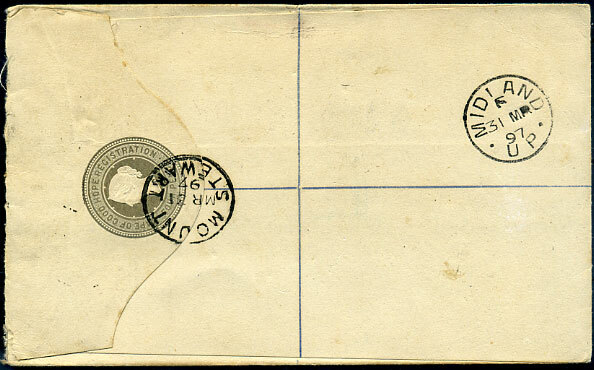 on censored 1d rate cover to P.O.W. 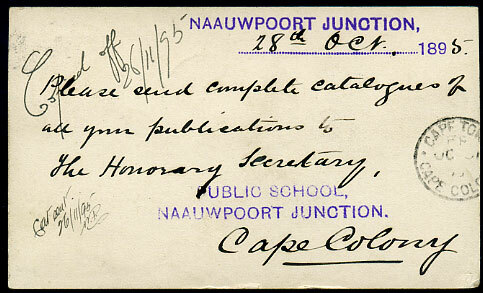 at Green Point dated JY 29 00, band of vertical damp/water staining at left. 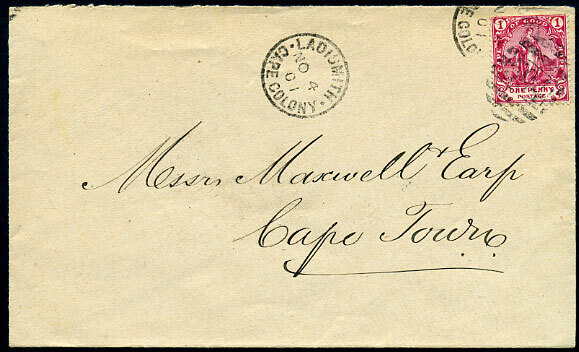 on 1d rate cover dated E/MY 8 99 to Graff Reinet, some opening faults along top.